Business face many challenges, but we believe banking shouldn't be one of them. California Bank of Commerce offers a full range of loan products tailored to meet the needs of privately-held companies. Our expert bankers have years of experience adding value to industrial companies, manufacturers, wholesalers, distributors and the professional service companies that support them. Our bankers also have a successful history helping finance real estate developers and real estate investors, and take pride in helping bank established non-profit organizations and associations. Businesses face many challenges, but we believe banking shouldn't be one of them. That's why we built California Bank of Commerce to be a unique business bank with the power and sophistication of a money center bank but with the personal service of a local bank. Our bank is designed to build deep, lasting relationships between our experienced bankers and our clients. Our bankers will help demystify complex financial challenges and provide actionable, straight-forward, and effective solutions for your business. 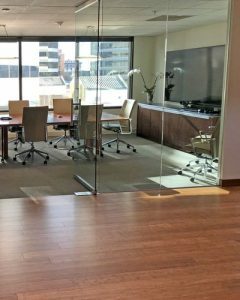 We serve the demanding financial needs of businesses, their owners and the professional service companies that support them in the San Francisco Bay Area. 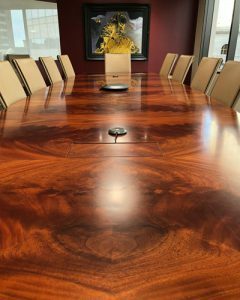 We invite you to experience the difference at California Bank of Commerce. Information on California Bank of Commerce processes and policies. California Bank of Commerce is proud to have these business and community leaders as our Founding Organizers. Bios and information on the California Bank of Commerce Executive Officers. Steve Shelton, a resident of Lafayette, California, has been Chief Executive Officer, President, and a Director of the Bank since 2018. Prior to his appointment as President and CEO, Mr. Shelton served as an Executive Vice President of the Bank since the Bank's founding in 2007. Previously, Mr. Shelton served for thirteen years in various executive management positions of CivicBank of Commerce. His final position was President, a title he held up until and through CivicBank’s acquisition by City National Bank. Mr. Shelton has a Bachelor of Science in Business Administration and Finance from California State University, Fresno. In addition, he has a Master of Business Administration in Management from Golden Gate University. He has worked in financial management and commercial banking since 1983. Randall Greenfield, a resident of Castro Valley California, has been with the Bank since 2007 and currently serves a Senior Executive Vice President and Chief Financial Officer. Previously, Mr. Greenfield served as an Executive Vice President and Chief Financial Officer for Diablo Valley Bank. Mr. Greenfield has a Bachelor of Arts degree from University of Washington, Seattle and has completed two years of study towards a Master of Business Administration for Business Accounting from California State University, Hayward. He has worked in financial management and commercial banking since 1974. Doug Stoveland, a resident of Foster City, California, has been with the Bank since 2017 and currently serves as Senior Executive Vice President and Chief Risk/Credit Officer. Mr. Stoveland has a Masters of Business Administration degree from Notre Dame de Namur University. He has more than 25 years of extensive leadership experience in credit administration, risk management and specialty lending. Previously, Mr. Stoveland served as Managing Director for Union Bank. Thomas Park, a resident of Orinda, California, has been with the Bank since 2007. Mr. Park currently serves as a Senior Executive Vice President. Previously, Mr. Park was founder and manager of Mechanics Bank’s East Bay Commercial Lending Group, a unified lending and deposit operation headquartered in Walnut Creek, California. Contractors made up the largest commercial clientele of this group. Mr. Park has a Bachelor of Arts in Economics from University of California, Davis. He has thirty years of experience in financial management and commercial banking since 1986. Michele Wirfel, a resident of Walnut Creek, California, has served as a Senior Vice President of the Bank since 2007 and an Senior Executive Vice President since 2015. Previously, Ms. Wirfel served as Contra Costa Regional Manager for CivicBank of Commerce and as Senior Vice President at Scott Valley Bank. Ms. Wirfel has a Bachelor of Science in Business Administration & Finance from California State University, Chico. She has worked financial management and commercial banking since 1991. Tom Dorrance, a resident of Walnut Creek, California, has been with the Bank since 2007 and currently serves as Senior Executive Vice President of Technology & Operations. Previously, Mr. Dorrance served as a Senior Vice President and Chief Information Officer for North Bay Bancorp. Mr. Dorrance has a Bachelor of Arts in Political Science and Government from Colorado Mesa University. He has worked in financial management and commercial banking since 1992. John Lindstedt, a resident of Moraga, California, was the founding Chief Credit Officer of the Bank in 2007 and served in that role until 2017. Previously, Mr. Lindstedt served as Marketing Officer and Chairman of the Advisory Board at Scott Valley Bank from 2004 to 2007. Mr. Lindstedt has a degree in Business Administration from Coe College, and served in the United States Navy from 1957 to 1958. He has worked in financial management and commercial banking since 1968. Stephen Tessler, a resident of Oakland, California, has served as an Executive Vice President and Director of Sales & Marketing of the Bank since 2007. Previously, Mr. Tessler served as a Manager of Business Development and Marketing for Diablo Valley Bank. Mr. Tessler has a degree from San Jose State & Golden Gate University. He has worked in financial management and commercial banking since 1994. Vivian Mui, a resident of San Francisco, California, has been with Bank since 2007 and currently serves as Executive Vice President, Credit Administration. Previously, Ms. Mui was with Mechanics Bank where she held various positions in Lending and Credit Administration. Ms. Mui has a Bachelor in Economics from University of California, Berkeley. She has worked in financial management and commercial banking since 2001. Leland Ong, a resident of Hercules, California, has served as an Executive Vice President of the Bank since 2015. Previously, Mr. Ong served as an Executive Vice President of the former Pan Pacific Bank. He joined the California Bank of Commerce team when the two banks merged in late 2015. Mr. Ong has a Master of Business Administration from Golden Gate University. He has worked in financial management and commercial banking since 1986. William Del Biaggio Jr., a resident of San Jose, California, has been with California Bank of Commerce since 2017 and currently serves as Managing Director of the San Jose Region. Previously, Mr. Del Biaggio Jr. was the Founding Chairman of Heritage Bank of Commerce. His job responsibilities included marketing, community relations and cash management. Mr. Del Biaggio Jr. has a Bachelor of Science degree in Business Administration from the University of Oregon. Prior to bank he was a businessman in Santa Clara County. James Christiansen, a resident of San Jose, California, has served as an Executive Vice President of the Bank since 2011. Previously, Mr. Christiansen served as a Senior Vice President for County Bank and Manager of their Asset Based Lending Department. He has worked in financial management and commercial banking since 1982. Jamie Smith, a resident of Concord, California, has been with the Bank since 2011 and currently serves as Executive Vice President, Dental Division. Previously, Mr. Smith was with California Oaks State Bank where he formed a Northern California office specializing in practice financing. Mr. Smith has a Bachelor’s degree in Marketing from Missouri State University. He has worked in commercial banking since 1998. Roxann Burns, a resident of San Jose, California, has been with the bank since 2017 and currently serves as Executive Vice President, Emerging Business. Ms. Burns has been actively involved in Small Business Administration (SBA) and small business lending for over 25 years and has held leadership positions with national, regional and community banks. She is currently an instructor for the National Association of Government Guaranteed Lenders and served on its board of directors from 2008-2012. Ms. Burns career includes extensive work with several community development organizations, CDFI’s and public agencies that support the mission of community and economic development. Ms. Burns is a graduate of California State University, Sacramento, and has a Masters of Public Policy and Administration and Bachelor’s degrees in Economics and Business Administration. Colleen Atkinson, a resident of Danville, California, is currently serving as Executive Vice President of the Professional Banking Division of California Bank of Commerce. Most recently, Ms. Atkinson has worked with HSBC Bank USA, N.A. and Comerica Bank, providing expertise in liquidity and cash management solutions to mid-corporate clientele with a specialty in serving the needs of professional service firms and non-profit organizations. Ms. Atkinson has a Bachelor’s degree in Business Administration from Central Michigan University with a major in Finance. With a 25 year career in corporate banking, Colleen has a breadth of banking experience that includes debt financing, investment advisory and securities trading, risk management/analytics, business development, as well as deposit & treasury services. 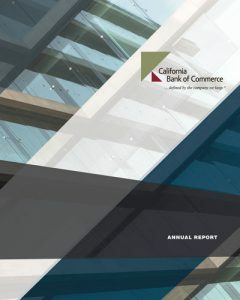 Bios and information on the California Bank of Commerce Board of Directors. Andrew Armanino, a resident of Danville, California, is a founding member and has been a Director of the Bank since 2013. Mr. Armanino has a Bachelor of Science in Accounting from Santa Clara University. Mr. Armanino is Chief Executive Officer and Chairman of the Board of Directors with Armanino LLP. Under his guidance, Armanino LLP. has grown to become the 29th largest CPA and Consulting firm in the United States. Edward Collins, a resident of San Francisco, California, is a founding member and has been a Director of the Bank since 2007. Mr. Collins, after a long and successful career as both an attorney and a banker, is now Chairman and a Director of Branded Spirits, Ltd. as well as a Director of Oclaro, Inc.
Stephen Cortese, a resident of Lafayette, California, is a founding member and has been a Director of the Bank since 2007 and Chairman of the Board of Directors since 2010. Mr. Cortese has a Bachelor of Arts in Business Administration with an emphasis in Finance from University of California, Berkeley, as well as a Master Degree in Real Estate Appraisal and Investment Analysis from University of Wisconsin, Madison. Mr. Cortese is Managing Partner for Cortese Investment Company which is involved in the acquisition, development, and management of commercial real estate. Kevin Cullen, a resident of Lafayette, California, is a founding member and has been a Director of the Bank since 2007 and serves as the Chairman of the Loan Committee. Mr. Cullen has a Bachelor of Arts in Liberal Arts with an emphasis on English from University of the Pacific. Mr. Cullen is part owner and Chief Financial Officer of Olson and Company Steel which fabricates architectural metals and structural steel. Stephen Dathe, a resident of Orinda, California, is a founding member and has been a Director of the Bank since 2007. Mr. Dathe has a Bachelor of Science in Manufacturing Engineering Technology from California Polytechnic State University, San Luis Obispo. Mr. Dathe is the Vice President of A & B Die Casting Company, and President/CEO and majority owner of Benda Tool and Model Works, Inc. Together, the companies provide die cast aluminum components and assemblies to customers and industries worldwide. Wayne Doiguchi, a resident of Mountain View, California, has been a Director of the Bank since late 2015 when California Bank of Commerce merged with Pan Pacific Bank. Mr. Doiguchi has a Master of Business Administration from Santa Clara University and a Bachelor of Arts from University of California, Los Angeles. He also holds a banking degree from Pacific Coast Banking School of University of Washington. Mr. Doiguchi is an active member of the Chamber of Commerce and Rotary Club in his community as well as a volunteer for many social welfare and small business causes. Donald Kintzer, a resident of Orinda, California, has been a Director of the Bank since 2013 and serves on the Audit Committee. Mr. Kintzer is a certified public accountant (inactive) with a Bachelor of Arts from Lafayette College and a Master of Business Administration from Penn State University. Prior to graduate school, he served as an officer in the United States Air Force. Mr. Kintzer is a retired partner with PricewaterhouseCoopers, LLP (PwC). Prior to his retirement, he was the managing partner of PwC’s Advisory practice for the San Francisco/Silicon Valley market and the Western United States. He is a board member of GasLog Ltd (NYSE:GLOG) and a member of the boards of Los Alamos National Security, LLC and Lawrence Livermore National Security, LLC. Rochelle “Roxy” Klein is a founding member and has been a Director of the Bank since 2007 and serves as the Chair of the Asset/Liability Committee (ALCO). Ms. Klein has a Bachelor of Arts in Economics from Stanford University and a Juris Doctor/Master of Business Administration from University of California, Los Angeles. After a long career with Goldman Sachs, Ms. Klein retired from finance in order to spend more time with her family and philanthropic causes including serving on Boards at Stanford University, National Charities League, Guideposts Foundation and Pacific School of Religion. In addition, she continues to consult and most recently served as an Advisory Director for Ocean Gate Capital Management. Thomas Morehouse, a resident of Orinda, California, is a founding member and has been a Director of the Bank since 2007 and serves as the Chairman of the Compensation Committee. Mr. Morehouse has a Bachelor of Science in Industrial Management from San Jose State University. He has also completed his Master of Business Administration. Mr. Morehouse is retired from business after a successful career working in Europe, Asia, South American, and the Bay Area. He now invests in start-up companies helping to get others established. Edmond Traille, a resident of Scottsville, Virginia, is a founding member and has been a Director of the Bank since 2007 and serves as the Chairman of the Audit Committee. Mr. Traille has a Bachelor in Business Administration with an emphasis in Accounting from the University of Notre Dame. Mr. Traille is a Certified Public Accountant and was a founding Partner and CEO of GALLINA LLP where he provided accounting and tax consulting services. As a member of the CBC employee team, our culture guides us as we pursue our vision of helping our clients be thriving, dynamic companies who embrace the future with confidence. As we grow deeply with our clients in an ever-changing, increasingly complex marketplace, our stated values help keep us rooted. If interested in an open position at CBC, please review our current openings or contact Steve Nelson, SVP-HR, at .